Susunia nestles at the northwestern part of Bankura district. This stunning weekend destination is exceptionally welcoming with its incredible natural beauty, rich flora, beautiful holy spring and the rock faces on which the eminent mountaineers of the regions embarked on their journey. The Susunia hillock is also of the rich reserves of medicinal plants. Places to see in Susunia: The main attraction of Susunia hills is a stone edict that belongs to the period of Raja Chandra Varma. It is believed that Susunia hills once had the fort of the Raja. Moreover, the Gandheswari River flowing down the hill is another great place to watch out for. The mighty Susunia hill boasting a height of about 1500 feet is a wonderful site of historical inscriptions, by Raja Chandravama. The hill is also a renowned archeological site, yielding Stone Age tools. 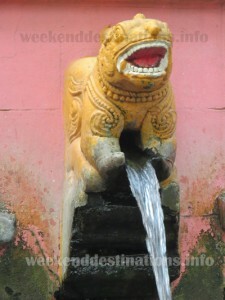 Susunia Hill is also a noteworthy site for tourists, who visit the destination to see “Dhara” (Natural Spring) & Silislipi. The twin-villages of Hadal-Narayanpur, which nestle on the banks of the Bodai River, are renowned for the Mandal family terracotta temples, including Barataraf, Mejotaraf and the Chhototaraf. At the entrance of the Barataraf temple, there is a big Rasmancha. The other two temples of Mejotaraf and Chhototaraf are beautifully studded with wonderful terracotta panels, which include a brilliant representation of Vishnu in the Anantashayan posture. You can also visit the other notable temples of Bankura, while touring Susunia, which include Gokul Chand Temple, Saileswar Temple, Temple of Radha Damodar Jew, Temple of Ratneswar and Temple of Shyam Sunder. Nearby attractions in Susunia: The other major tourist attractions of Bankura District like the terracotta temples of Bishnupur and the Kansabati Dam at Mukumanipur can be visited from Susunia. 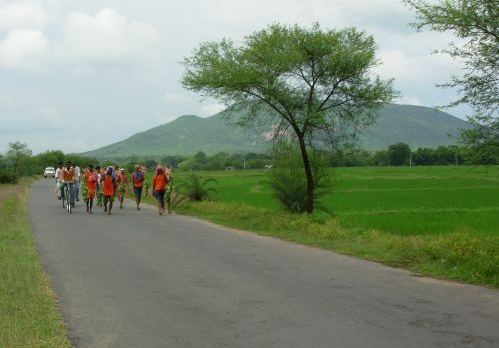 Biharinath Hill, which lies on the north of Saltora Block is also nearby. 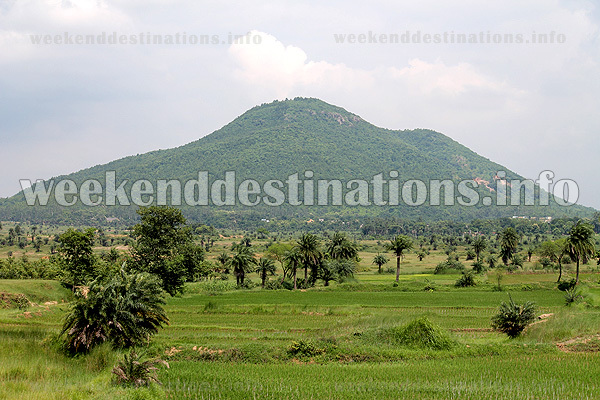 Biharinath is tallest hill in the Bankura district and a popular site of tourism. Another notable nearby sightseeing destination is Jhilimili, located 70 km away from Bankura Town. The place offers spectacular sight of forest. Another famous historical site called Betur is also situated here. Things to do in Susunia: Apart from enjoying the serenity of Susunia, you can indulge in trekking or rock climbing. Susunia village is famous for beautiful stone carving and you can buy them at affordable prices. There are two villages in the vicinity of Susunia, Netkamla and Bindhyajam, which are home of Dhokra craftsmen. Again, Bankura is famous for artistically designed terracotta items, which are readily available all across the district and worth buying. The famous Bankura horse has now become a symbol of Indian handicrafts. Besides buying, also indulge in eating the special sweets of Bankura, like the famous mecha sandesh or the pera. If possible, you can also taste Mahua, the popular local drink of the region. How to reach in Shushunia: Board a Purulia bound train from Howrah and get down at Chatna. From there, Shushunia is only 9 kilometers. Apart from this, you can also board Susunia bound buses from Bankura, Kharagpur and Durgapur. Best time to visit Susunia: Throughout the year. Lodging and dining facilities at Susunia: There is a private resort near Susunia Hill. The privately managed resort has double bed cottages with attached bathrooms. With park, play area, swimming pool, ponds for fishing (angling) and vast lands to roam around – the private resort is the ideal place for a weekend at Susunia.